Zach has been a pro in Prescott since graduating from college. He graduated in 2017 with his degree in Business Administration-Marketing from Arizona Christian University. He played tennis all 4 years in college, 2 at Paradise Valley Community College, and his final 2 at ACU. 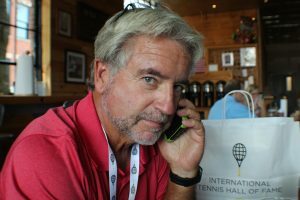 He recently completed his USPTA certification and serves as the Social Media Manager and Web Designer for Prescott Area Tennis Association. Dave began his tennis career as a youth in Illinois, and has been competing or coaching ever since. He has been teaching in Prescott for the past 4 years. His passion for all sports and lifelong fitness shows in his on-court teaching style. Dave’s 25 years experience in education, and thoughtful approach to instructional design ensures a quality tennis experience for players of all levels. Sterling Fetty is entering his 13th year as the head tennis coach at Prescott High School. He started out his coaching career in 2004 as a private instructor at the Prescott Racquet Club. It was a good fit to start working with young players who had a love for the game. 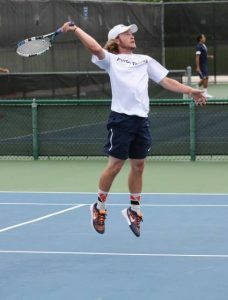 In 2010 Coach Fetty started Advantage Tennis Academy in Northern Arizona.